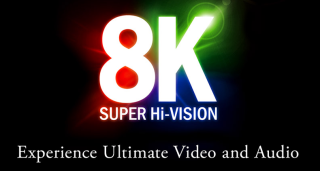 NHK tests 8K TV broadcasts ahead of 2020 target | What Hi-Fi? The Japan Broadcasting Corporation, NHK, ran an 8K broadcast from Yankee Stadium last weekend, as it aims to roll out 8K in Japan by 2020. While many of us are debating the merits of buying a 4K TV, Japan is predictably wasting no time in investigating 'the next big thing'. NHK, Japan's version of the BBC, successfully carried out another 8K TV broadcast over the weekend, this time in the US. Following a similar 8K trial at Wimbledon earlier this month, NHK took its 8K outside broadcast gear - five cameras, a production truck and an audio truck - to Yankee Stadium, New York, delivering a full weekend of baseball in 8K. An invited audience of interested parties from the sports and broadcast worlds were able to watch on the production truck's 85in monitors, though these are only 4K resolution for now. However, according to a report on US site Awful Announcing, those watching who were aware of the resolution of the cameras and screens, could see the difference between the 4K and 8K cameras. "Detail in 8K was much sharper and the crowd in the background could be seen more clearly in 8K than in 4K," it reported. Earlier this year NHK confirmed its plans to broadcast the 2020 Tokyo Olympic games in 8K, with 8K TV broadcasts expected to start by 2016.